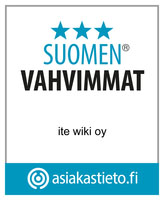 Perle Systemsin mediamuuntimilla 2.7km GbE monimuotokuitu-yhteys Golden Gate -sillan uuteen liikennevalvonta-järjestelmään. 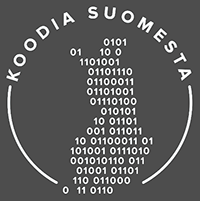 The solution is a unique way of bridging the distance limitations of Multimode Fiber. The Golden Gate Bridge Highway & Transportation District required an urgent solution to allow their multimode fiber network running gigabit Ethernet to stretch across the length of the Golden Gate Bridge. The maximum distance of a multimode fiber run is around 550 meters. With the bridge spanning 2737m it simply could not reach from one side to the other. In addition, the bridge was implementing an electronic toll collecting system and removing all tollbooths and collectors from the bridge. The electronic toll collection system relies on video feeds and transmitting that information from the point of collection back to the core network. Network Administrators at the Golden Gate Bridge needed to increase bandwidth to transmit video feeds across the bridge, and overcome the distance limitations of multimode fiber. Tom Kaetzel, Communications Electronic Technician at Golden Gate Bridge Highway & Transportation District, got in touch with Perle Systems. To achieve long distance gigabit Ethernet over multimode fiber, Perle suggested a unique solution. 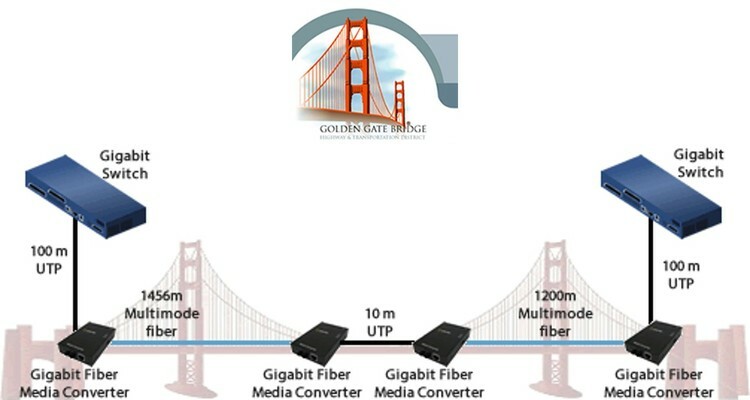 By placing two Gigabit Fiber Media Converters back-to-back, each capable of a 2km reach, the Golden Gate Bridge would now have 4000m (4km) to play with and could easily cover the length of the bridge.